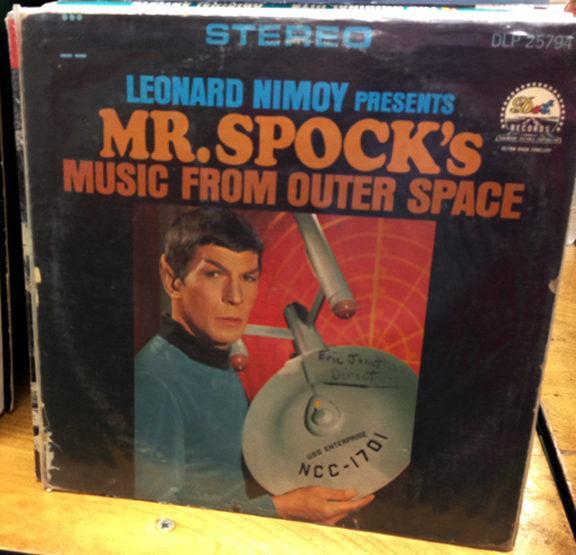 Here are a few interesting things spotted at the record show. You never know what interesting treasures you will find. Catch them while you can! 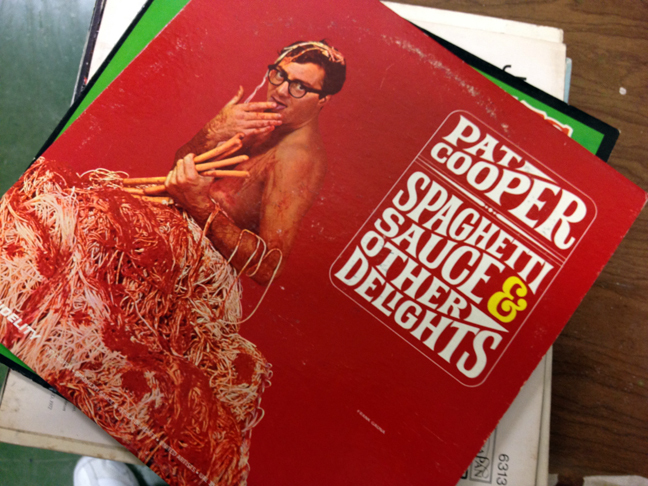 Comedian Pat Cooper’s parody of Herb Alpert and the Tijuana Brass’ iconic “Whipped Cream and Other Delights” album cover. For the ultimate “Star Trek” fan! I know this is a major announcement and you can relax and stop holding your breath…finally it has been proven that those pesty metal centers are no longer the bane of record collectors. Now two things…how do I patent my discovery, and secondly how much can I get for the metal value of the centerpieces at the scrap yard!